Boise Should Be in Kansas! When I was teaching kindergarten, one of my favorite units was map skills. One of my favorite books within the unit was Scrambled States of America by Laurie Keller. The states had grown weary of their geographic places and neighbors and were ready for a change. Idaho has a prominent role in the story and Nevada and Mississippi fall in love. I’m not proposing full blown changes like that, but it would be great for us if Boise were in Kansas. We have had such a great month in Boise and leaving is hard knowing we won’t be back for another six months. If Boise were a little more centrally located in the country, we could loop around and visit more often! So the activities I can show you are…. We got back in town just in time for me to join the Easter Choir at our church. 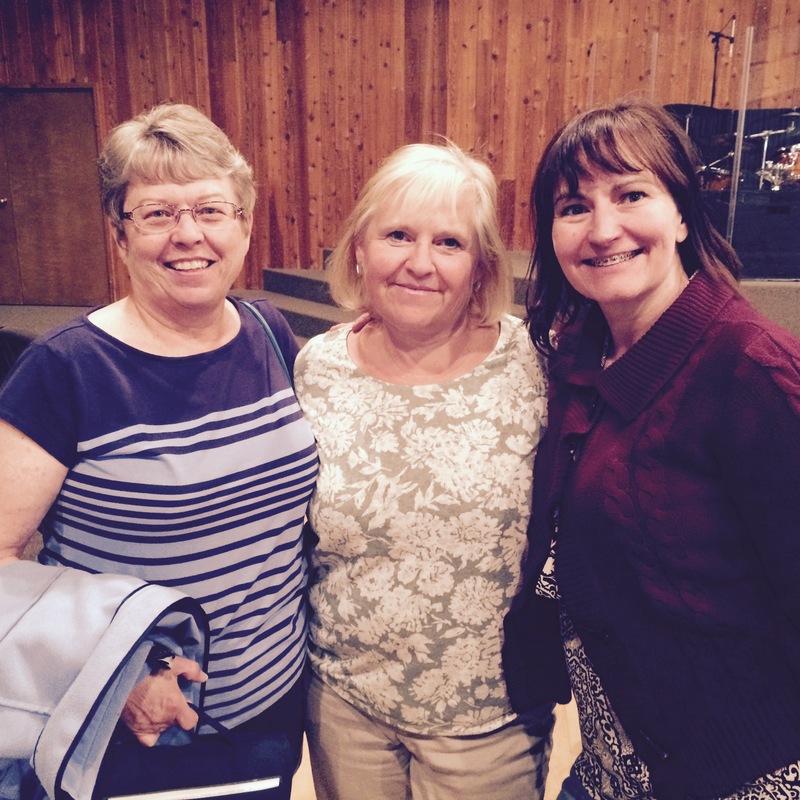 What a joy it was to be able to be there, sing again, and see our friends, including Jonna and Bridget, at Cole Community Church. One day after church we even did our old Sunday pattern of going grocery shopping at Albertson’s, getting my mocha from the usual Starbucks barista and checking out, as always, with Jackie. We also enjoyed seeing friends morning, noon and night! We have only one vehicle so our friends often had to pick one of us up so the other could have the truck. Thank you for the flexibility! Randy enjoyed golfing and lunches. I enjoyed visiting my old book club and I fully recommend the book Boys in the Boat. We so appreciate our friends taking us back into their lives after our absence! 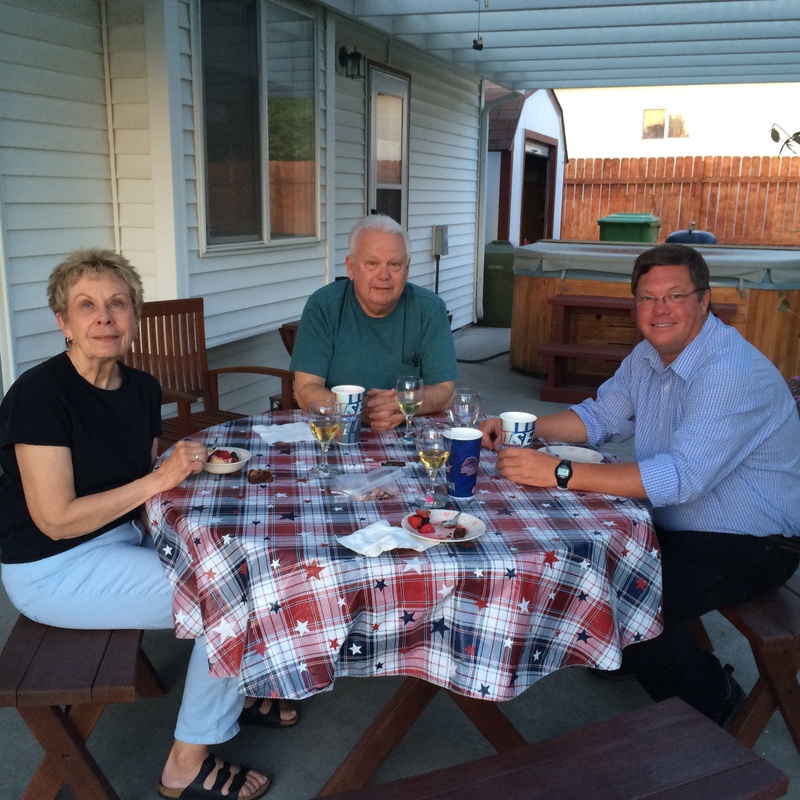 We thoroughly enjoyed dinner at the Philps! 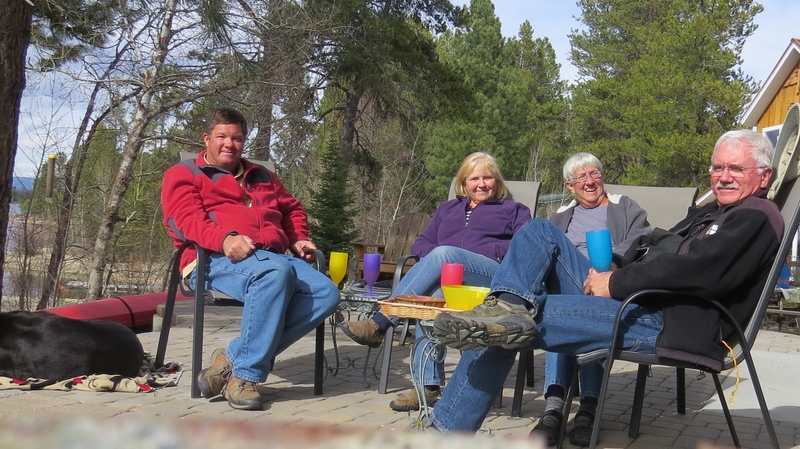 We loved our weekend with Kent and Pam Johnson at their cabin in Donnelly. 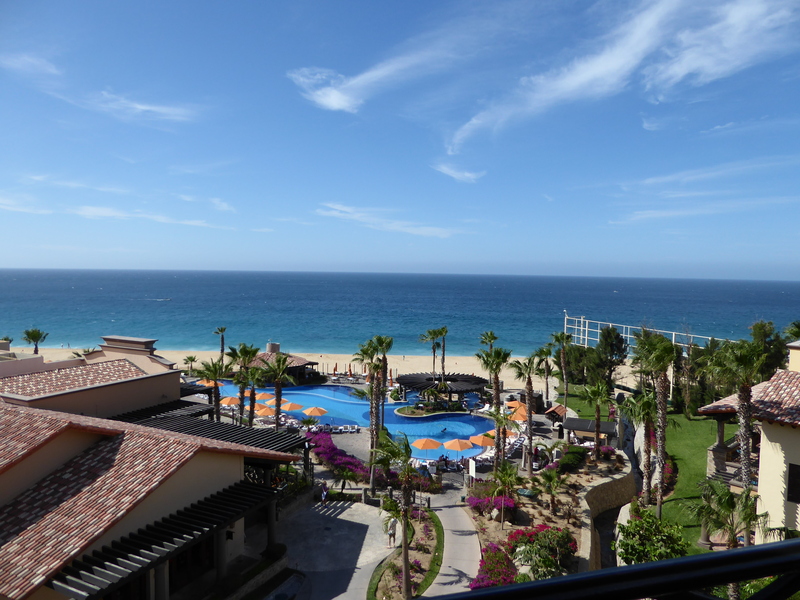 Part of the reason our month in Boise seemed so fast and furious was that we spent a week of it in Cabo! We will only go somewhere without Elko when we know he will be loved and cared for in our absence. 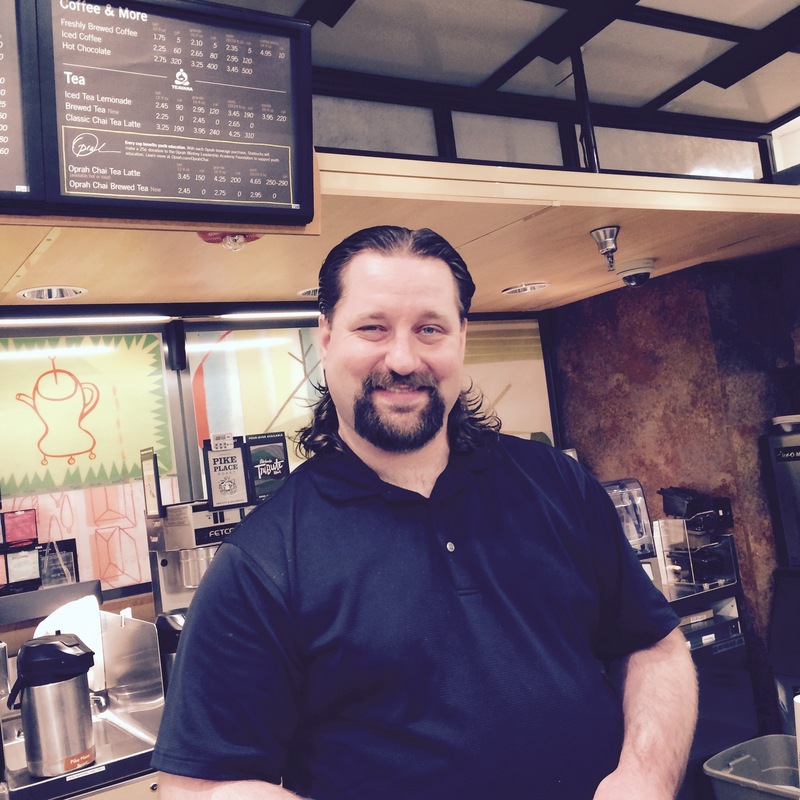 Thanks to John and Deb for loving and taking care of him! We had a really lazy week in Cabo since I was sick when we got there and then, as Randy says, incubated my illness to it’s most extreme form, and gave it to him. But, as I say, since we’ve been to this resort before, and will likely go again, it wasn’t the end of the world to hang out at the pool, or sit on the balcony and read! We did venture into town one day to see our “kinda” cousin, Zaida. Zaida is Rosa’s (Randy’s dad’s wife) niece. Sounds like a cousin to us! 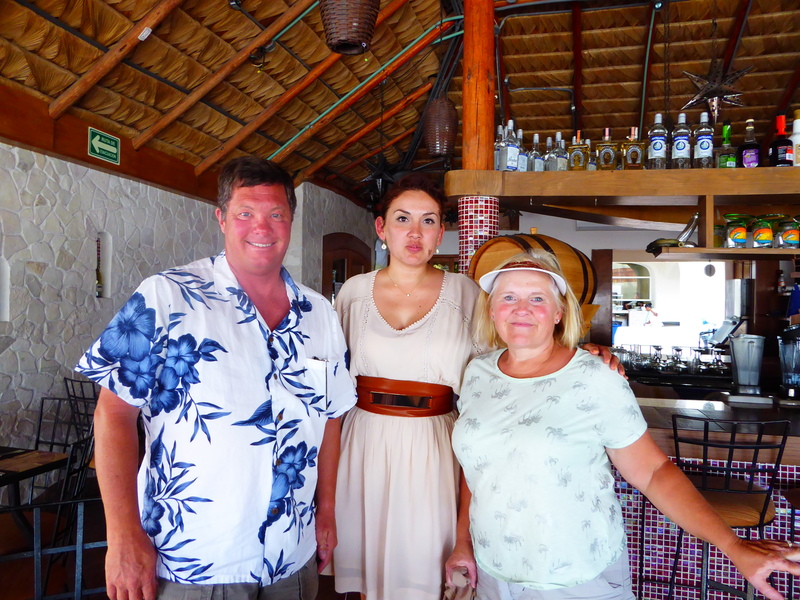 Zaida manages a restaurant, Soloman’s Landing, in the Cabo Marina. 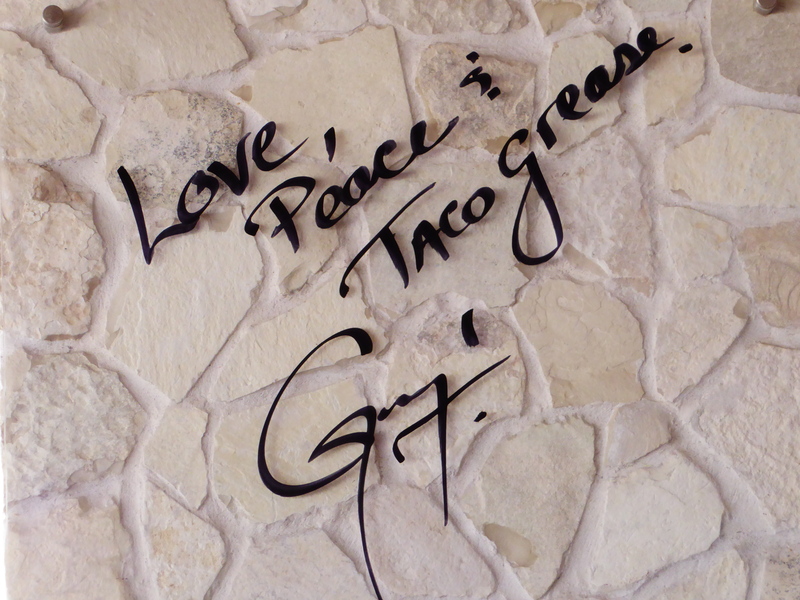 Even Guy Ferrari, from the Food Network, has eaten there. 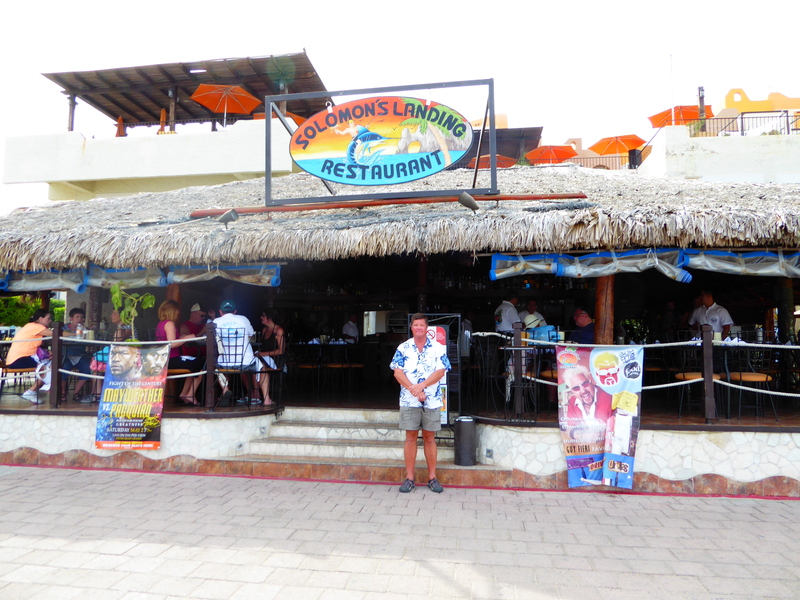 We had easy flights down to Cabo, even getting benefit of TSA Precheck where screening is minimal and easy! Coming back was a different story! 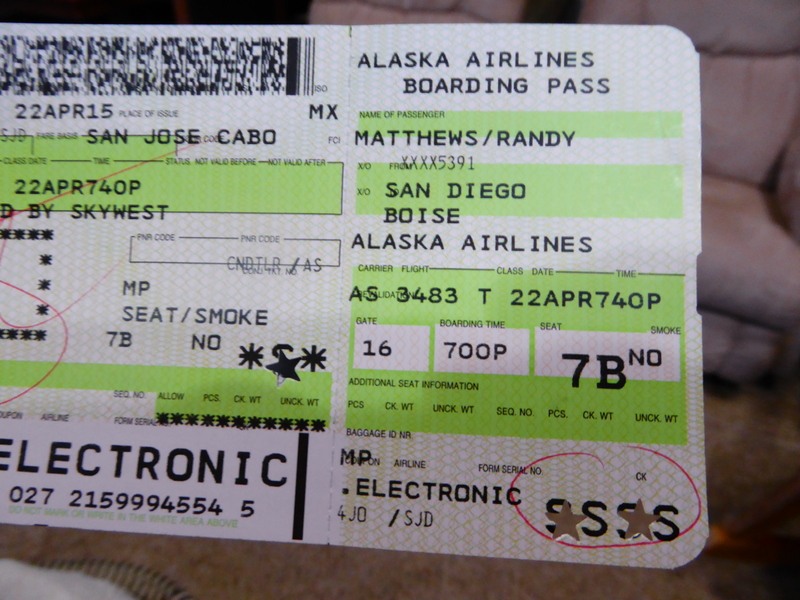 Randy got the dreaded SSSS on his boarding pass (who knows why?!) and was searched thoroughly out of Cabo even including swabbing his hands, shoes and backpack. Thoroughly didn’t even begin to describe what happened in San Diego! He said it was everything short of a cavity search. They offered to take him to another room to be patted down everywhere but he declined. I would have been quite worried if they’d of taken him away! Once back in Boise we saw a few more friends, spent time with Natasha, Seth and Archer and prepared to leave. Last night we prepped the trailer as much as possible and reviewed details for our new hitch. It is called an Anderson Hitch and has a towing capacity of 20,000 lbs. 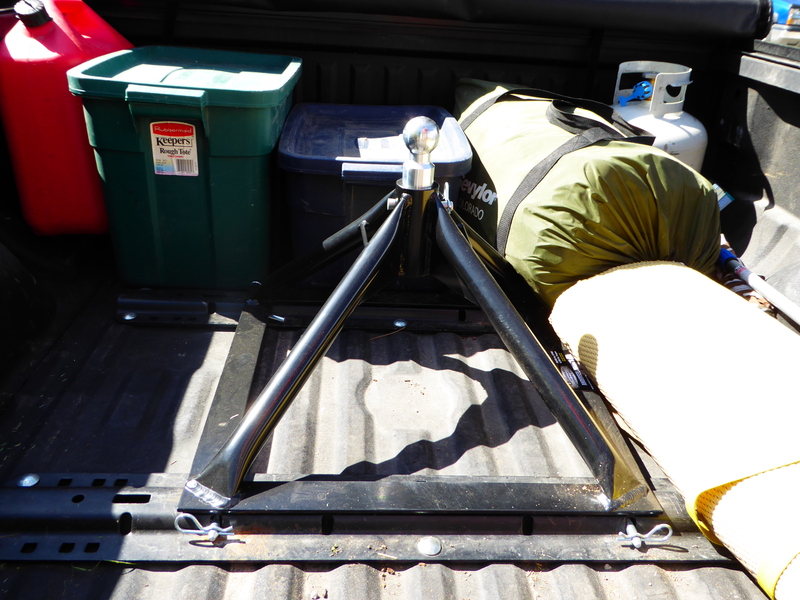 It also weighs only 40 lbs (instead of 200) helping Randy’s back and our truck/trailer weight issue. As we are driving along, the ride is much smoother than the previous hitch! So far so good! Tonight will be spent in Burns, Oregon. Tomorrow we go to Culver, Oregon to begin our volunteer gig at the Cove Palisades State Park. We will be there for the month of May. We are also scheduled to volunteer at Farragut State Park north of Coeur d’Alene, Idaho for the months of July and August. September will find us at Chief Plenty Coupes State Park near Billings, Montana. Come see us! Some day we’ll want to leave the west and explore other parts of the country. Then we will really wish that Boise was in Kansas! 2 Responses to Boise Should Be in Kansas! Sounds like the good life! (Well not the security search at the airport.) 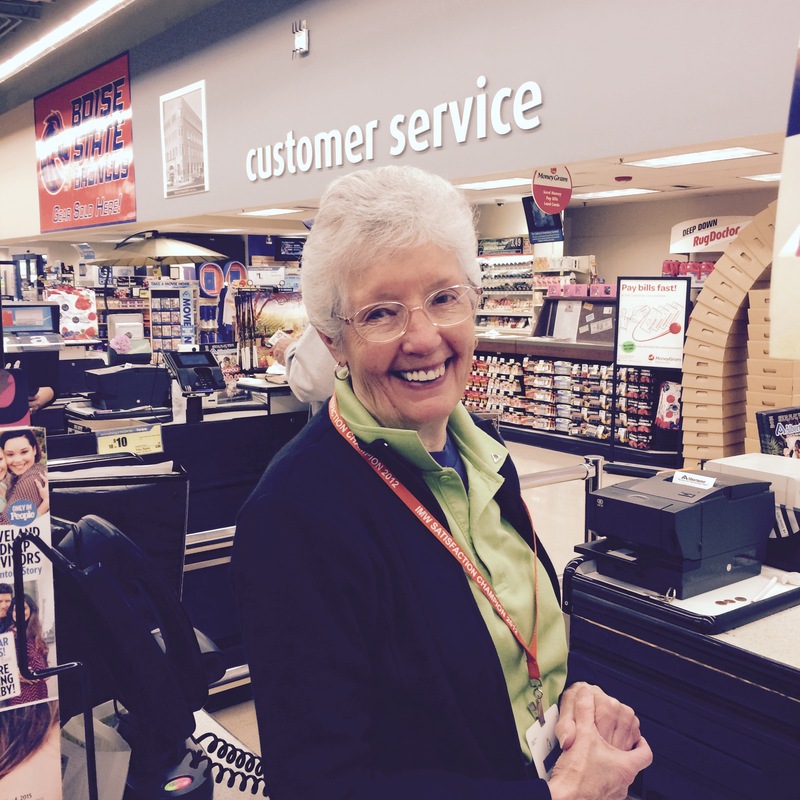 Glad you are enjoying retirement! We are enjoying it! Not every day or place is perfect (like today I saw a snake while hiking) but overall we feel very blessed to have this “season” in our lives. Thanks for your interest.